Not all mugs are created equal, and with the $9.99 Photo Mug, you know that you would have one of the more unique drinking instruments in the palm of your hands. 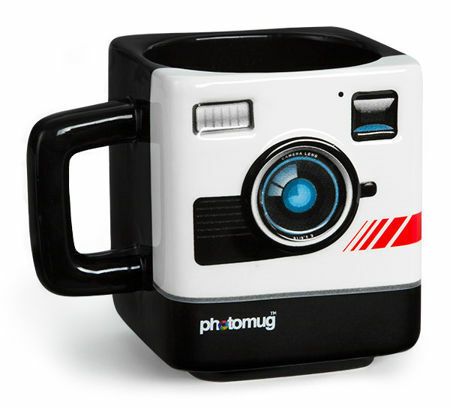 After all, each time you decide to take a sip from your favorite cuppa, you might actually cause someone to think that you are actually snapping a photo of them in the form of this retro camera mug. It features an old-school camera on one side, where it will come with a black back and interior like a dark room that swirls with chemicals, albeit those that go down well your throat, of course. It is best used with a right handed person, since that would be when the camera faces out, unless you love snapping selfies all the time.